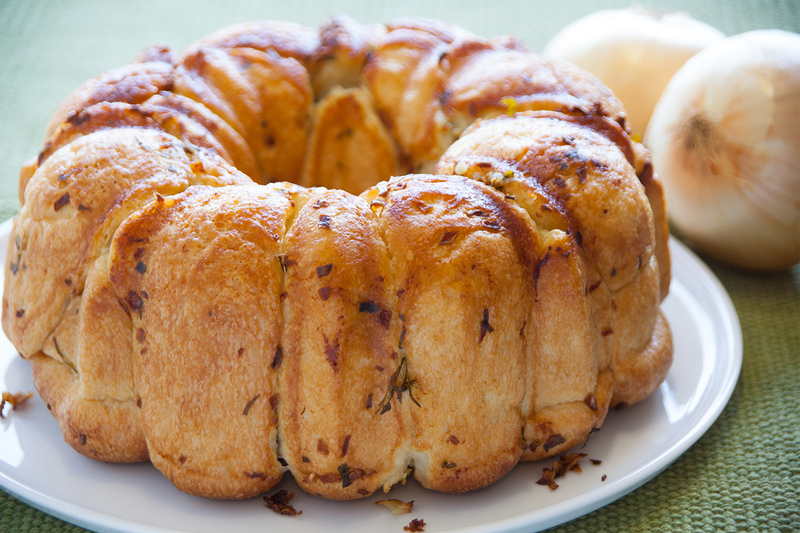 Butter, onion, basil and garlic make this bundt a beautiful and savory table delight. In a small bowl combine all ingredients but the rolls. Dip each roll into mixture. Place rolls in a bundt pan sprayed with non-stick cooking spray. Pour any remaining butter mixture over rolls. Cover with plastic wrap and let rise until double in size or nearly to top of pan. Remove wrap and bake at 350 degrees F 30-35 minutes. Cover with foil the last 10 minutes of baking. Immediately after baking, invert on a serving platter.